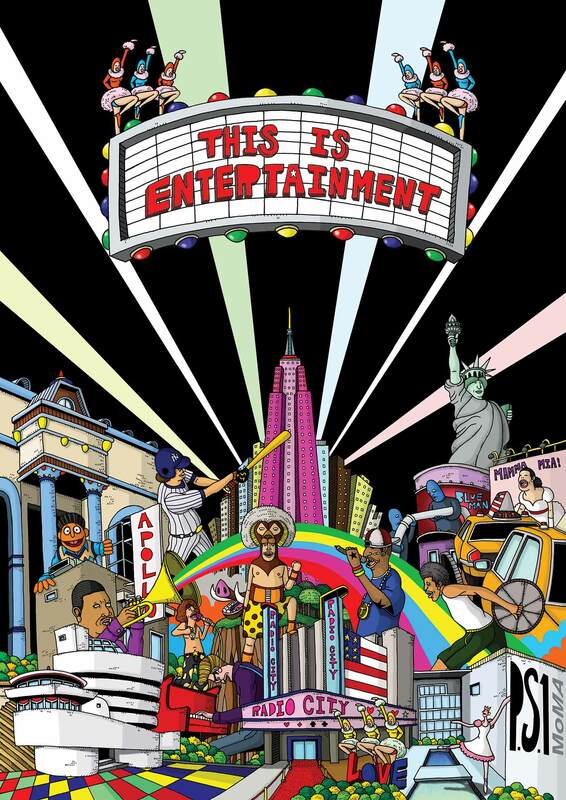 The New York City Tourism Agency invited artists to be part of their new poster campaign. 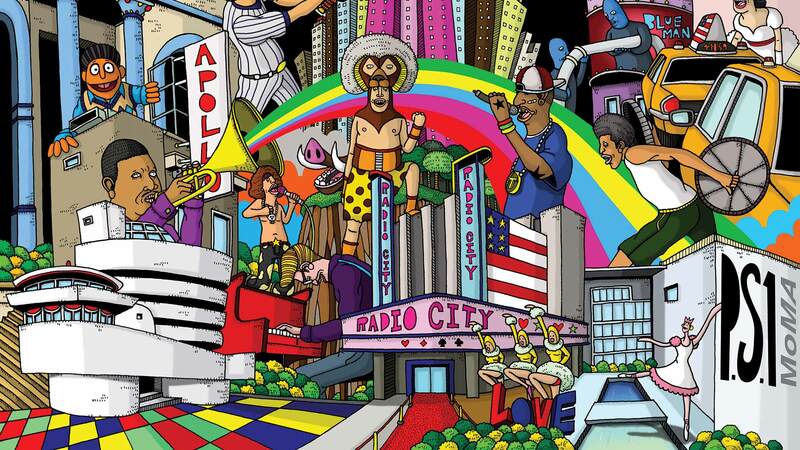 Each artist was asked to draw a different aspect of New York (food, shopping, etc.) and my part was entertainment. The posters were used on billboards and at bus stops.